The Illinois’ backstretches may look a bit different than the rest of the country, youthful in-fact. It is common for racetracks to house workers that provide direct care to the racehorses, but Illinois is one of the few states allowing children to reside on their backstretches as well. This variable changes the landscape of a health care program dramatically, and the Racing Industry Charitable Foundation (RICF) has truly stepped up to the plate. RICF was inspired by Lucy Reum, the first female chairperson of the Illinois Racing Commission, in the mid 1970s. Reum was appalled by the lack of human healthcare when visiting Illinois backstretches and started the foundation once her term with the commission ended. Since the 70s the foundation has expanded to provide on-site primary healthcare at all Illinois’ racetracks to backstretch workers and their children. The clinics offer a one-stop-shop with general care, dentistry, mental health, and counseling services all offered. General medications are also available (controlled substances are not on-site). “It is basically like your family doctor,” said Executive Director, Peggy Geotsch, when describing the clinic. 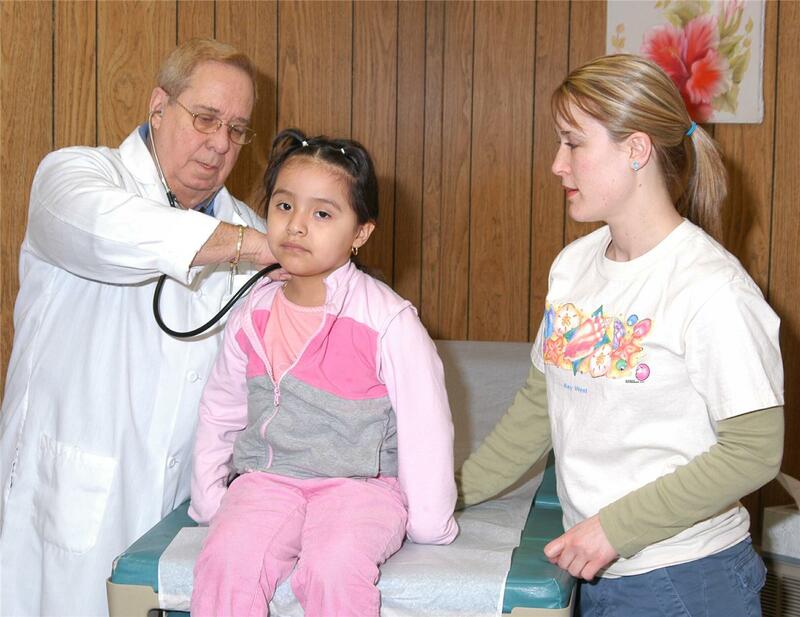 Of course, a family doctor also provides pediatric care. Since many children are living on the premises of the racetracks, the RICF clinics provide all school immunizations and general health care needs for the children. With a partnership in the community, they are also able to bring in a mobile dentist office to help with dental check-ups for all the children. Preventative care such as dental exams and immunizations are a high priority. While serving children from womb to adulthood, the clinics see about 700 children each year. The greatest success of the program, according the Goetsch, has been the ability to reach out and partner with the community on certain resources to provide high quality service to the patients. Through a state program, the racetracks giveback to RICF, so all funds received are non-taxpayer dollars. However, the funding isn’t enough for all the programs the RICF would like to implement, and community support is important (i.e. the dental mobile units). The funding from the 2013 TCA grant was used for TB testing, a service that was once provided by the county and state before it was cut, but is important to the health of the entire backstretch. Given more funding, the RICF would love to expand clinic service days as well as expand preventable care to include hepatitis vaccinations. TCA is the charitable arm of the Thoroughbred Owners and Breeders Association. TCA is a 501 (c) (3) organization. Donate Online Now.